Some of you already know my friend Lucienne Diver, who is both an author and one of the agents at The Knight Agency. 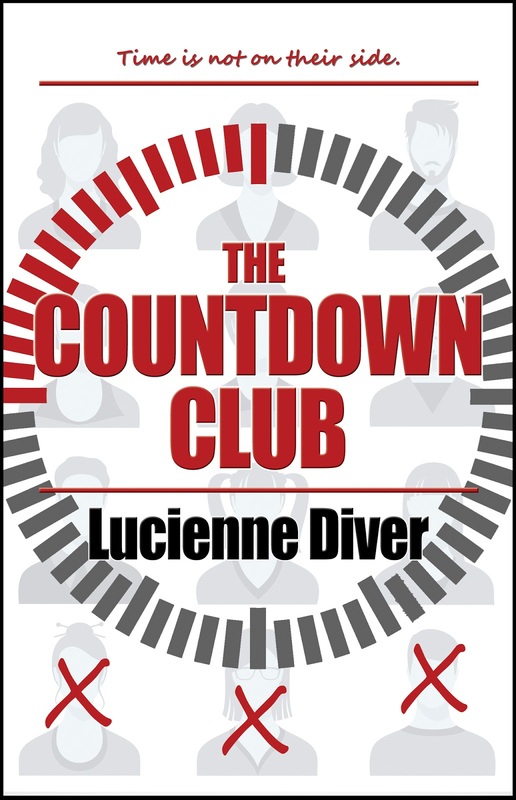 Needless to say, she's a very busy woman, but she was kind enough to come share her experiences with revisions, and give you a sneak peek at her new book, THE COUNTDOWN CLUB. (Hint: It sounds amazing.) Be sure to let us know what you think (either about revision, or the book, or both) in the comments! 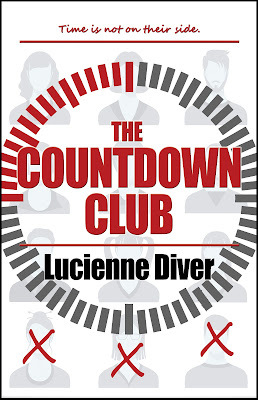 Lucienne will be giving away a copy of the book to TWO lucky commenters. “How do you solve a problem in revisions? It’s a curse. If only I could rewrite books with the ease of lyrics. Unfortunately, I have a horrible love/hate relationship with revisions. I adore first drafts – writing practically stream of consciousness, having a plan, but not knowing exactly how I’m going to execute it. You see, I was an inveterate pantser (a writer who flies by the seat of her pants, winging it) until I started writing mystery/suspense…and then my wings needed a lot more bolstering to get me off the ground. With my first YA suspense, FAULTLINES, I created a murder board, just like you see in all of those television shows—The Closer, Major Crimes, Without a Trace, Castle, and I’m sure a million more. It had the suspects, clues as to motive, means and opportunity, timelines, connections and all that jazz. It still didn’t quite tell me how I was going to weave these into the storyline. For that I drafted. And redrafted. And drafted again. I wish I could say that I learned from the experience and that my novels are now tightly plotted and then swiftly and seamlessly executed, but that would be a lie. I maybe can get away with calling myself a plotser now (half plotter, half pantser), but that might be overselling things. What I am is willing to make mistakes and go over and over and over and over my work ad infinitum until it’s really there. Or at least, so I think. When I turn my novel over to my critique partner or readers, it’s absolutely as good as I can get it at that moment. I’m proud of the bright, shiny work I’ve done. Otherwise, I’d never let anyone see it. And then they burst my bubble. All for the best. They make me work. Spot flaws I secretly suspected were there but was hoping no one would notice. Suggest fixes or improvements I never even considered. Or in some cases, cheer me on and give me the confidence to keep going. They make me better. I make all the improvements, embarrassed that anyone ever saw the manuscript in the condition it was in, but I soldier on. I whip it into shape, and send it off to my agent, cross my fingers and toes and hope she’ll get back to me before I lose all circulation in them. And receive another set of notes. Then, after those are handled and the manuscript is absolutely amazing, it goes out on submission…and perhaps there will be further suggestions, like a revise and resubmit from an editor. Or perhaps someone loves it and buys it and gives it a good home. But, of course, there will be more edits—content edits, line edits, copyedits. I guess this has been on my mind a lot lately, because, as some of you may know, I’m an agent as well as a writer, and I represent over forty authors, which means I’m always offering critiques, making suggestions, driving my authors—hopefully to greater heights rather than to madness, but I understand that it can be a fine line! But I understand their pain first hand. And shared pain is supposed to be lessened, right? Making her way through high school in her art geek bubble, Rayna Butler is used to being largely ignored by her classmates. Sure, she marches to her own beat—her Kool-Aid dyed hair and her edgy paintings make that perfectly clear. So when she arrives at school one normal Monday morning and finds a handwritten note in her backpack that reads “Six days to die,” she’s sure that it’s just a friend playing a prank on her. Jack Harkness is one of the toughest guys in school, a loner hiding his painful home life. When he also receives one of the threatening notes, he doesn’t take it for anything he can’t handle. Rayna and Jack soon discover that even more students have received threatening notes, although each has a different expiration date. “Six days to die”. . . “Two days to die”. . . “Twelve days to die”. . . there seems to be no rhyme or reason to it. And none of the kids appear to have anything in common. The students take the threats with varying degrees of seriousness . . . until the first murder. Class salutatorian Liam is the first to go, when his house mysteriously burns down around him and his mother as well. Certain that their days are numbered, Rayna and Jack convince the others to join together to track down the killer before their time is up. Lucienne Diver spends her days agenting and plotting murder. Luckily, she limits the actual execution to fictional characters…so far as you know. She’s the author of the popular Vamped series of young adult novels (think Clueless meets Buffy the Vampire Slayer), the Latter-Day Olympians contemporary fantasy series of myth, magic and mayhem, and young adult suspense, including FAULTLINES, also from Bella Rosa Books. Her short stories have been included in the STRIP-MAULED and FANGS FOR THE MAMMARIES anthologies edited by Esther Friesner for Baen Books, KICKING IT edited by Faith Hunter and Kalayna Price for Ace, and TRIBULATIONS, a Rogue Mage anthology, edited by Faith Hunter for Lore Seekers Press. 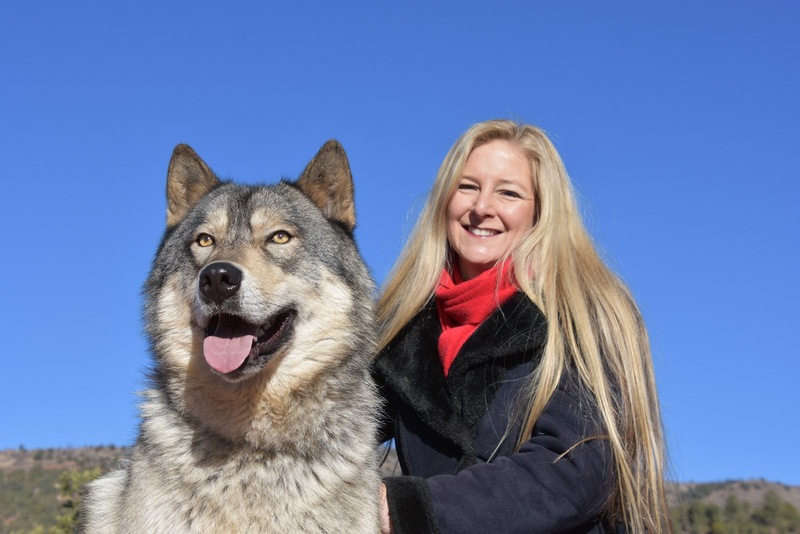 She lives in Florida with her husband and daughter, the two sweetest pups in the world, and an overflowing library under the mistaken impression that death is not allowed to take her until she has read ALL THE BOOKS. More information is available on her website, www.luciennediver.com. Linda, you have won a copy of the book--email me at magicmysticminerva at yahoo so I can pass your email on to Lucienne. I still need you to let me know your address! Doing revisions doesn't necessarily get easier. But realizing they're necessary and help the book does, at least for me. Evergreen Lee, you have won a copy of the book! Email me at magicmysticminerva at yahoo so I can pass your email on to Lucienne. I don't know what it ever gets easier, but the time between denial of what needs to be done and buckling down to do it gets shorter!